Teams work because they draw on the strengths of individual members who present a united front. Diversity of skills, talents, backgrounds, experiences, tactics, and perspectives allow teams to be well-rounded, share resources, and address challenges successfully. At The Right Horse, one of our core values is collaboration: we know that in order to radically improve outcomes for at-risk horses, we must unify the equine community – industry organizations, welfare advocates, and horse professionals. And let’s not forget the greater horse-loving public! 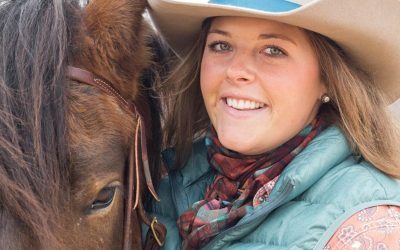 The horse world is made up of incredibly diverse people and horses. It’s an industry known for being siloed and divided by breed, discipline, sport, geography, and more. But helping horses in transition is an issue that affects all horses and therefore all horse people. Because of the lack of systems to support at-risk horses, every single horse no matter what age, background, history, breed, gender, size, color, training level, or amount of earnings may need transition assistance at some point during its life. 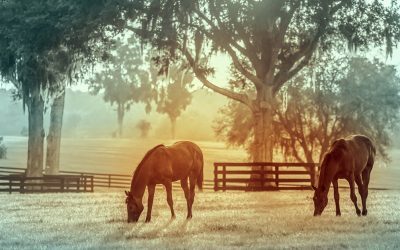 The Right Horse Initiative is working to massively increase horse adoption across the country by creating systems to support humane transitions and reframing the conversation around equine welfare. Many groups have been working towards this goal for years. What differentiates The Right Horse is our focus on bringing together many different stakeholders united by one singular mission. Unite diverse stakeholders around a shared mission. Develop a network of partners who share our philosophy. Identify and empower future equine industry leaders who are passionate and innovative. Remove barriers to progress by focusing on what we agree on (adoption). Create and share best practice standards, including shared language. Identify funding partners for TRH grant programs. The Right Horse Initiative is here to help lead the movement, but we can’t do it alone. Only with the help of willing and enthusiastic Partners can we create systemic change. We partner with organizations that are innovative, rational change agents and waste no time on drama or emotion. Here are a few examples of how collaboration can help more horses in transition. Rescues and adoption groups can work together to share ideas and best practices rather than competing. They can transfer horses to each other based on specialty, adopter demand, and ability to handle certain cases (for example, caring for orphan foals). They can refer adopters to each other if a better match exists elsewhere. They can share outreach, promotion and fundraising ideas to increase giving to all horse welfare efforts – growing the pie rather than fighting for a bigger piece of the same pie (a great example is the friendly competition seen in our partner the ASPCA’s Help A Horse Day contest). Kentucky Humane Society’s TROT initiative is an excellent example of interagency collaboration. The goal of T.R.O.T. (Transport Relocation Operation Team) is to increase the diversity of breeds and types of horses available for adoption at KHS and at partner organizations across the country – in short, getting the right horse to the right place, where it has the greatest opportunity for adoption. The system is similar to successful transportation models already being used to increase dog and cat adoptions in many areas of the country. Next, industry groups can work with each other, and with welfare organizations. Likewise, welfare organizations need to look to the industry for collaborative partners, not opponents. Improving outcomes for horses in transition not only helps the horses – it retains owners, association members and participants in the industry. A great example is the New Vocations Pony Club Challenge, a pilot program orchestrated by New Vocations Racehorse Adoption and the United States Pony Club. Pony Club riders adopt retired racehorses from New Vocations, which provides a stipend for their care, and train for the Pony Club Championships where they will compete in the Challenge. The Challenge is designed to showcase the versatility of retired and adopted racehorses and allow Pony Club members an educational tool to enhance their learning experience – a win/win for all involved parties! Finally, and critically, rescue and industry organizations must work together with individual owners and prospective adopters. 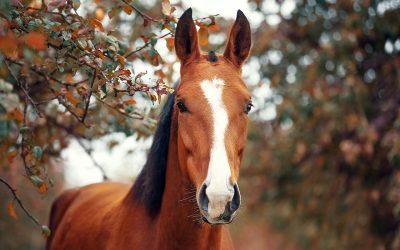 Increasing demand for adoptable horses is the only way to take advantage of the estimated 1.3 million households that are willing and able to bring home an adopted horse. How can we help adopters feel like our trusted partners? Lower existing barriers to adoption. Welcome prospective adopters whether in person or via phone, email, or social media with excellent customer service. Make the horse search and adoption process fun and exciting. Get to know adopters and establish a personal relationship to match them with the right horse and remain a resource post-adoption. Offer community resources and safety net support so good people can do right by their horses and keep them at home. We must trust the public enough to let our horses go home with good people. The basis of all good horsemanship is teamwork. You can’t overpower a 1,000-pound animal; you must learn how to speak its language and earn its trust. If you’re a good horseman or horsewoman, you already understand how to be a great teammate. Consider how to apply that same idea to helping horses in transition: listen to others working towards the same goal and imagine what we can accomplish working together. Visit our Partners page to learn more about our industry and welfare partners who have joined The Right Horse Initiative in our mission to increase horse adoption.